Picking the right post graduate degree is a big decision to make, as there is a significant amount of time and effort that goes into deciding your programme. When deciding on a Masters' degree you will have to take into account several key factors which includes choosing the right graduate school. The job market today has become very competitive, and choosing the right post graduate program will not only prepare you for your career goals, but will also help you acquire the desired skill set in the work force. Listed below are somes of the questions you will need to consider when choosing a post graduate programme abroad. This will help you make the right study abroad decision. Knowing where you'd like to study will help you narrow down your choices. Choosing a country to study in is not something that should be taken lightly. With several countries and cities to choose from, the decision to study abroad can be a tough one. It is important that you appreciate the city you will be living in.You may have certain preferences for studying in a particular country or university. However, researching different countries, and what they have to offer is necessary when deciding on what post graduate programme to choose from. In order to understand what programme you should pursue, it is very important that you understand what your ambitions are. By being able to add your passion to your career, you will be able to make your life more fulfilling, thereby enhancing your overall life experience. Should I opt for a full time or part time program? Many post graduate programmes have a full time as well as part time study options. However, deciding on whether you should opt for a full time or a part time Masters' programme depends largely on what your responsibilities and academic goals are. Universities take into account your academic grades, so ensure that you work hard in securing good grades. Some programmes require students to give entrance tests and submit essays, therefore you must make sure that you have the necessary pre- requisites for the programme you are interested in. Furthermore, once you decide on the field you wish to get into, you can speak to individuals who are currently employed in that field; they will be able to share their experience with you. You can also read testimonials from former students to gain further insight. When choosing a post graduate programme abroad, one of the important things you will need to consider is how much a study abroad education will cost you. Since most Masters' degrees take two years to complete, you need to be certain that you will be able to afford the entire programme. It is advisable to do a research on the course fees, cost of living, food and travel, this will help you carefully budget your time spent abroad. Will it be useful for your future career? It is important to research the market for careers you wish to consider. There are fantastic job opportunities waiting for you after you complete a post graduate program abroad. However, it is advisable to choose a degree that will not just showcase your talent and abilities, but will also add to your overall development. 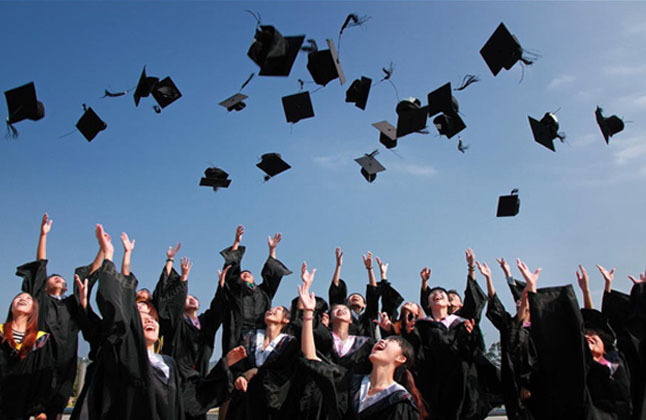 Find out how universities helps their students find jobs after. There may be some universities that may even provide internships to students. Choosing the right post graduate program will help you accomplish your career goals. Will it broaden your network? Choosing the right post graduate program also gives you the opportunity to meet professionals and researchers from all over the world. It will provide you with higher chances of working with international markets. "It was swift right from application to pre-departure. Moreover the way the details were elaborated was very helpful."